Parliamentary Secretary Jennifer Rice speaks to Saturday morning's crowd. 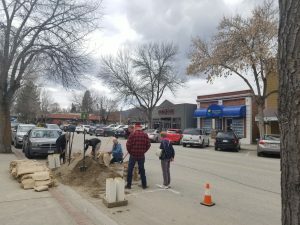 Preparedness Week has officially wrapped up in Grand Forks. 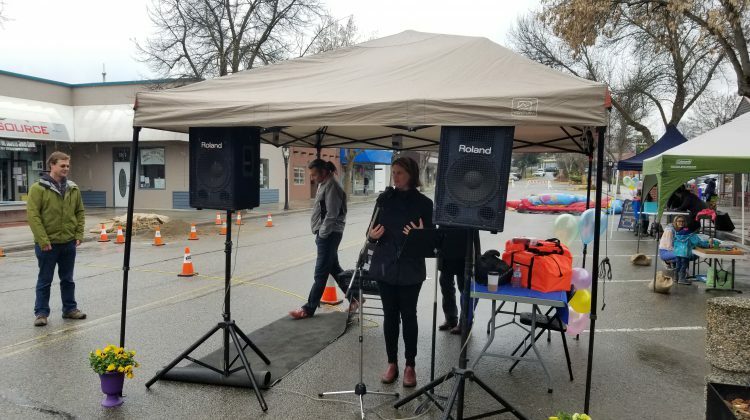 The Boundary Flood Recovery Team hosted activities throughout last week, from sandbagging demonstrations to financial presentations, educating the community on emergency preparedness. The event was sponsored by the Canadian Red Cross. 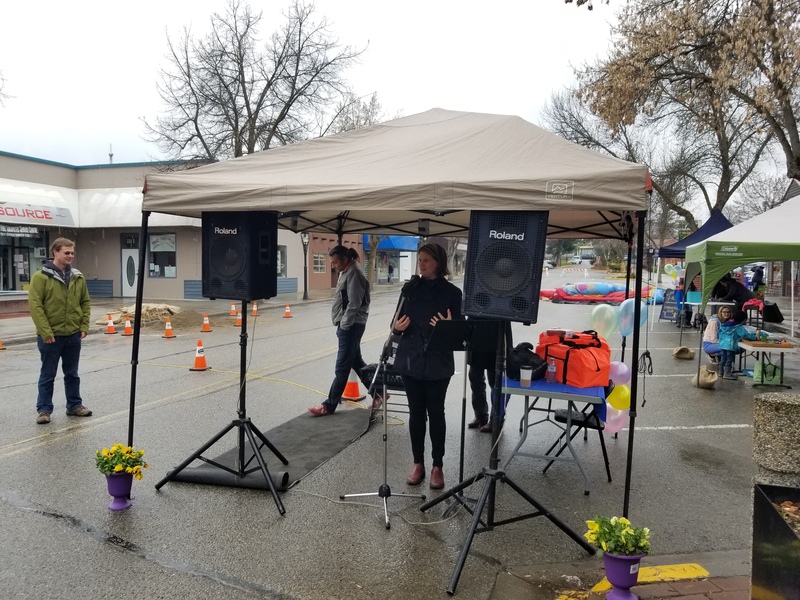 Saturday was the main event on Market Avenue, where Parliamentary Secretary Jennifer Rice was present. 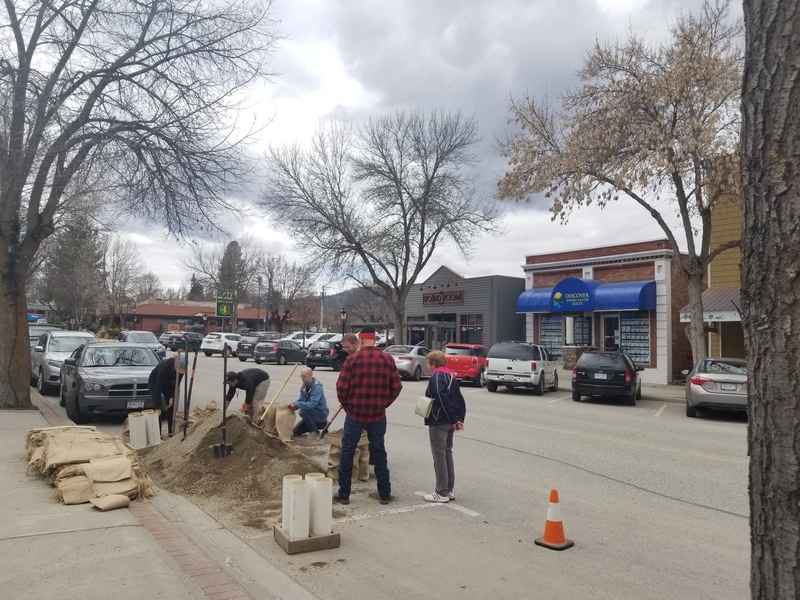 A sandbagging demonstration from Friday afternoon on Market Avenue. A bouncy castle was one of many activities along Market Avenue Saturday morning. Grand Forks Mayor Brian Taylor and Chair of the Regional District of Kootenay Boundary Roly Russell shared some words as well. 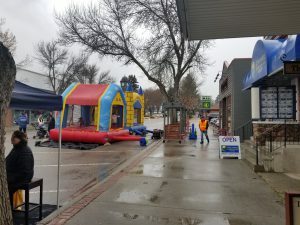 There was also a free Elk’s pancake breakfast earlier that morning with city councillors serving. Also Saturday there were booths, presentations, activities, giveaways, and live music.